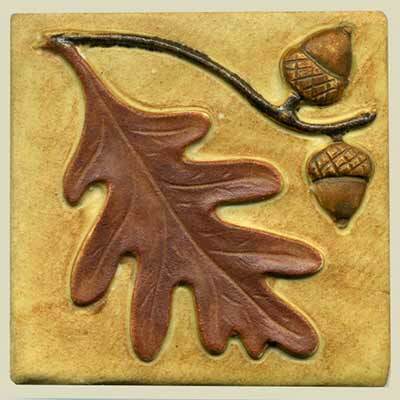 This oak leaf and acorn tile is a 4" version of our larger 6" tile of the same name. 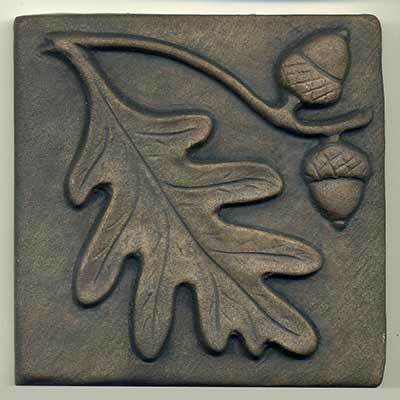 The only difference in the design is that this tile has one less acorn. It is available in any single glaze or stain or in multiple colors. Colors shown: pharsalia background with nutmeg leaf; brown-black stain overall.